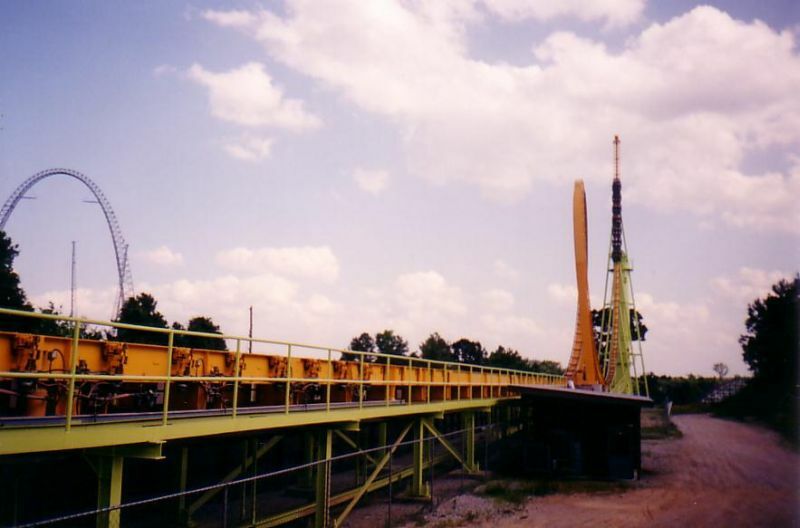 The park's main attractions are Twisted Cyclone, Goliath, Dare Devil Dive, Batman: The Ride, Mind Bender, Superman: Ultimate Flight, and Georgia Scorcher. Ride Dare Devil Dive early as it is low capacity. 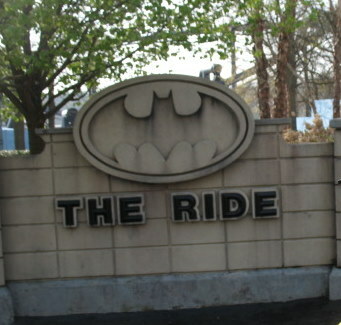 Other attractions that must not be missed are Acrophobia, Monster Mansion, and Justice League. 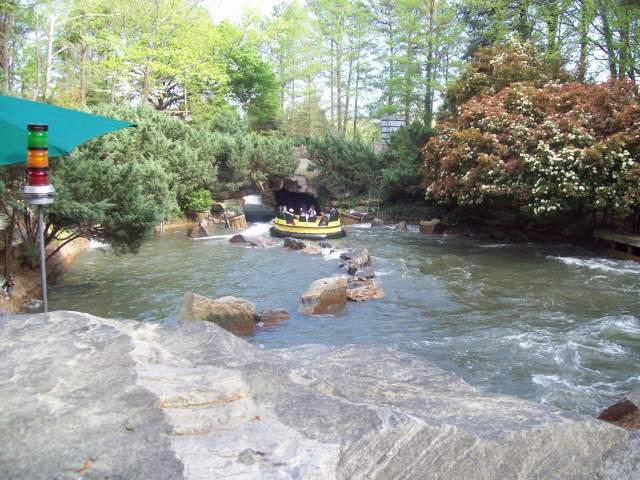 For those hot summer days, the park offers three water rides: Thunder River (river rapids ride), Splash Water Falls (shoot-the-chutes ride), and the Log Jamboree (standard log flume). 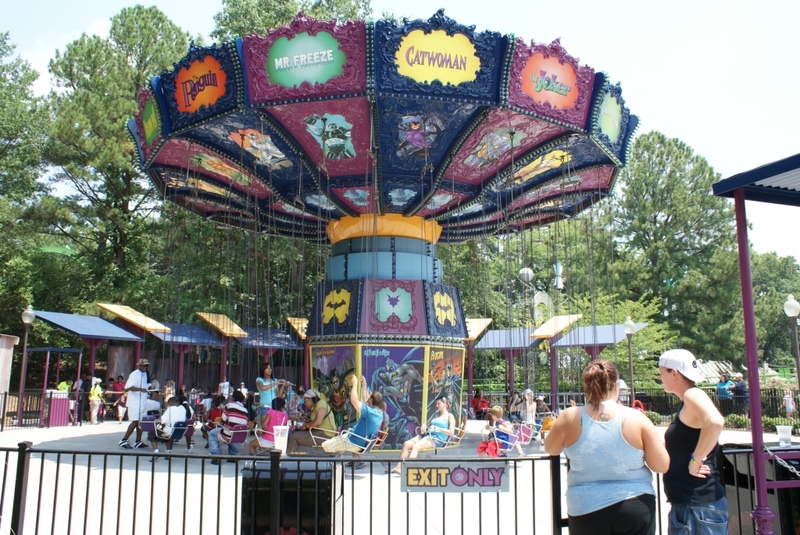 For the little ones, Bugs Bunny World contains several kiddie rides. There is also the Wild E. Coyote Canyon Coaster. Options range from pizza to Chinese food (Panda Express) to hamburgers (Johnny Rockets Express). If you are looking for southern cooking, try Daddy O's where ribs, chicken, and barbecue are on the menu. The park also is home to Dee Jay's Diner, where you can dine on hamburgers, fries, and onion rings while sitting in a 50's style diner. 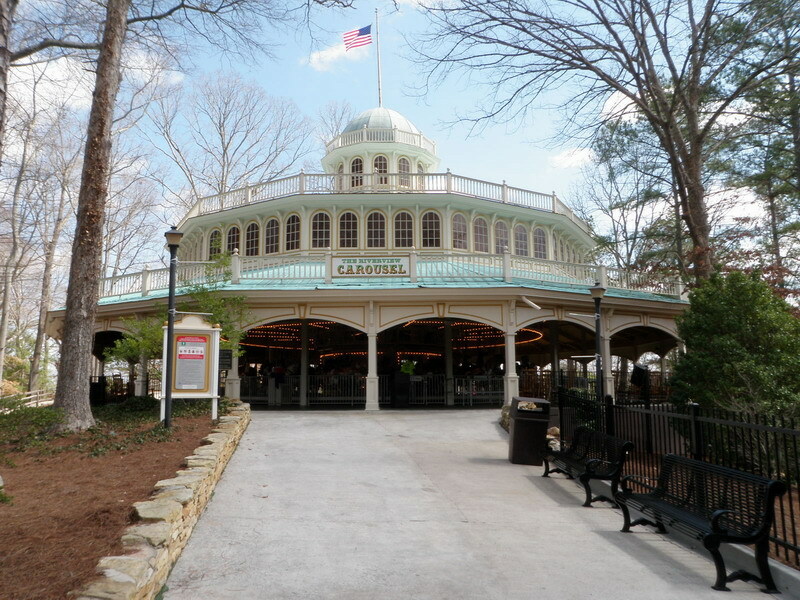 For the sweet tooth, the park is home to Old South Confectionary and Cold Stone Limited. The park holds the annual Fright Fest event during weekends in October. From Birmingham: The park is located off of Exit 46 on I-20E. From Macon: Go northwest on I-16, to I-75, to I-285 North, to I-20 West. Take exit 47 or 46A. From Nashville: Go east on I-40, to I-24, toward Georgia. Continue east on I-24, to I-75 south, toward Georgia. Take I-75, to I-285 West, to I-20 West. Take exit 47 or 46A. From Greenville, SC: Go southwest on I-185, to I-85 toward Georgia. Continue on I-85, to I-285 West, to I-20 West. Take exit 47 or 46A. There are several lodging options a few minutes away from the park, including the Wingate chain motel, which is located 300 yards from the main gate. Other lodging choices within close proximity of the park are Quality Inn, Fairfield Inn & Suites, Best Western, and Comfort Suites. 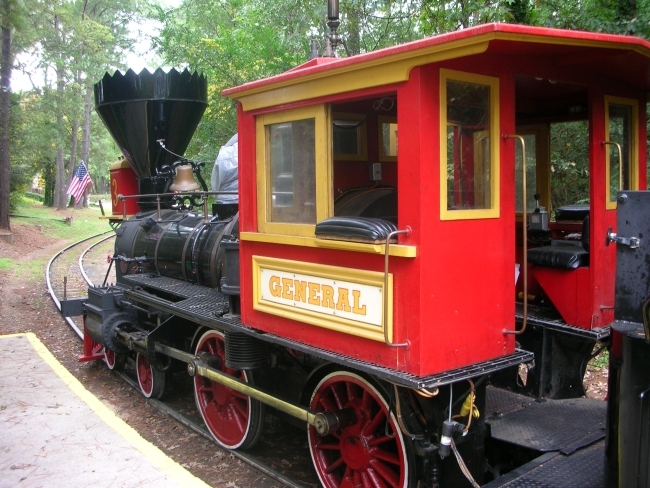 The park features the Crystal Pistol Music Hall. Here you can find live country-and-western music. For the young ones, there is the Bugs Bunny World Theatre where Bugs Bunny and his Looney Tunes pals play music geared toward children. There is also a Wild West Gunfight show (located on the Lickskillet stage) and the Doo-Wop Shop (located in Dee-Jay's Diner) which features music from the 1950's. 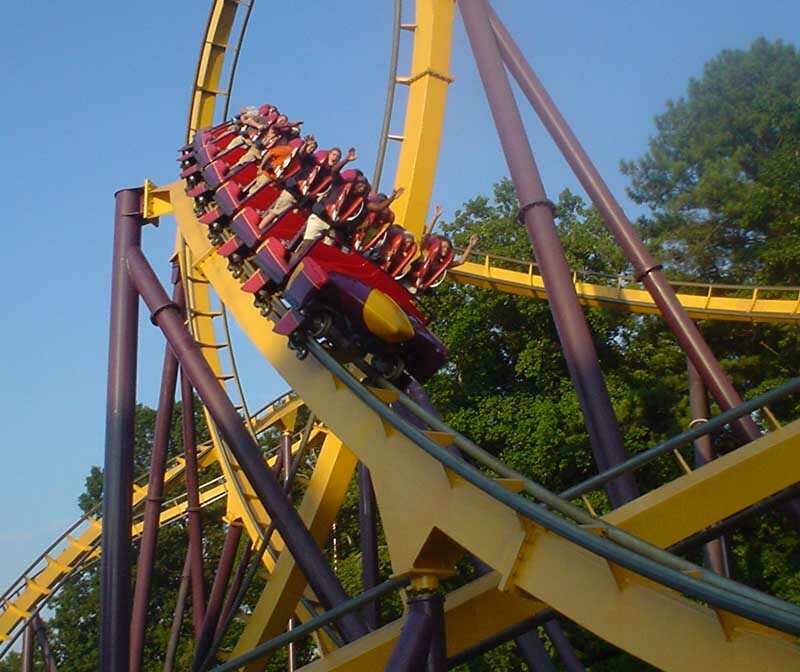 Six Flags over Georgia boasts a world-class coaster lineup with plenty of variety. 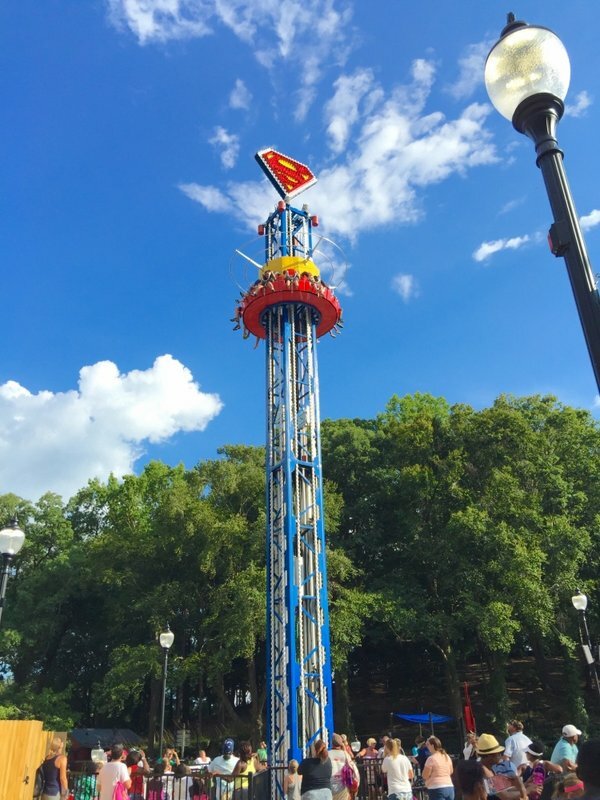 Many of these maximum thrill rides do maintain a 48" minimum requirement. 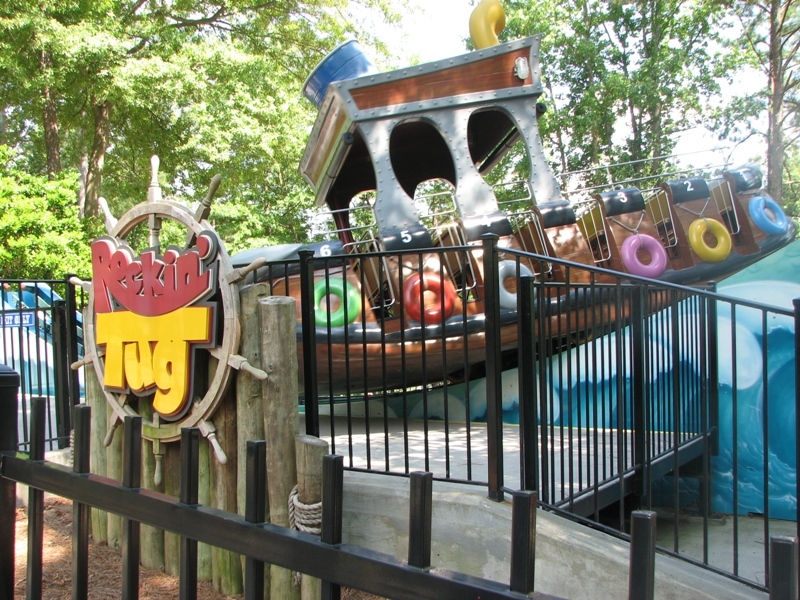 SFoG is one park that is doing a good job of retaining its original character while moving forward with the latest in thrills. The park offers plenty of shade, although you might want to be forewarned about the steep walkways leading to Gotham City. I should have known from the gun turret in the parking lot, and the inner city gas station a block away that I was in the hood. Several of the coasters were out of operation, and most of the rest of them looked like they needed to be (cracked, peeling paint). 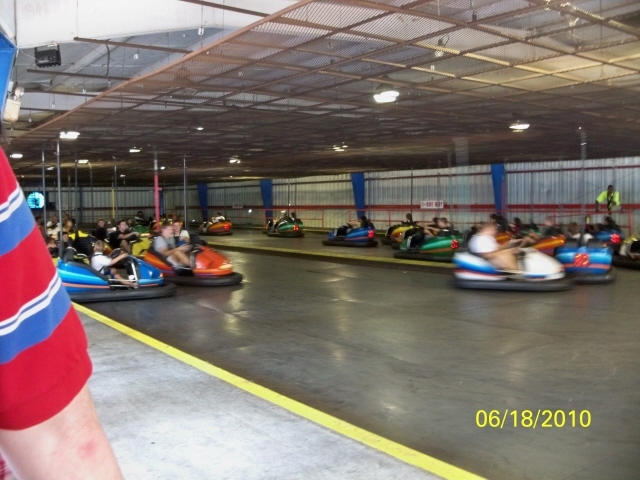 I decided to try the new water park since it was the last day for it, but spent most of the day being harassed by security, because some tattoed-up gansta thug accused me of "stealing a N*#@'s towel." (his words not mine) They dumped the contents of my locker all over the ground and terrified my kids. I will not be back, even though this is my home park. If you decide to visit this place. LOCK UP YOUR STUFF, and bring the gayest towel you can find. 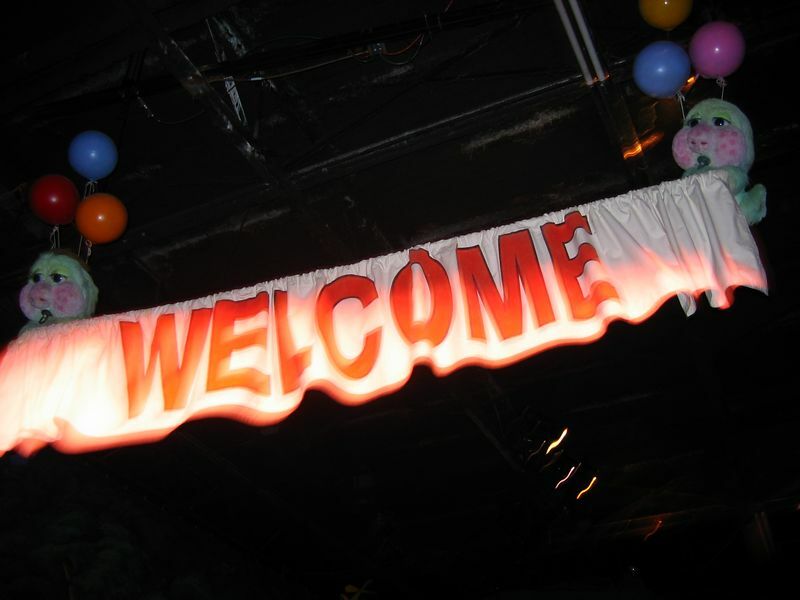 Or better yet avoid this place! 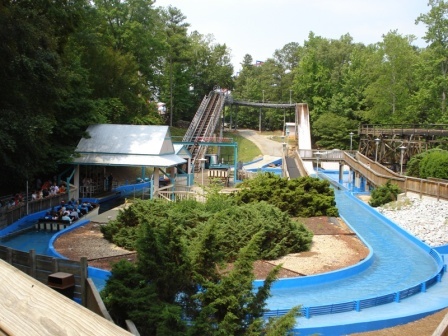 Six Flags over Georgia is beautifully landscaped, one of the best in Six Flag's franchise. The employees don't go above and beyond, but they aren't rude (apathetic at best). Goliath is a great hyper, better than Apollo and rivals Intimidator. Lots of awesome airtime! Dare Devil Dive is okay, but it is not worth standing in line for 2 hours. Mindbender is fantastic! So much force! 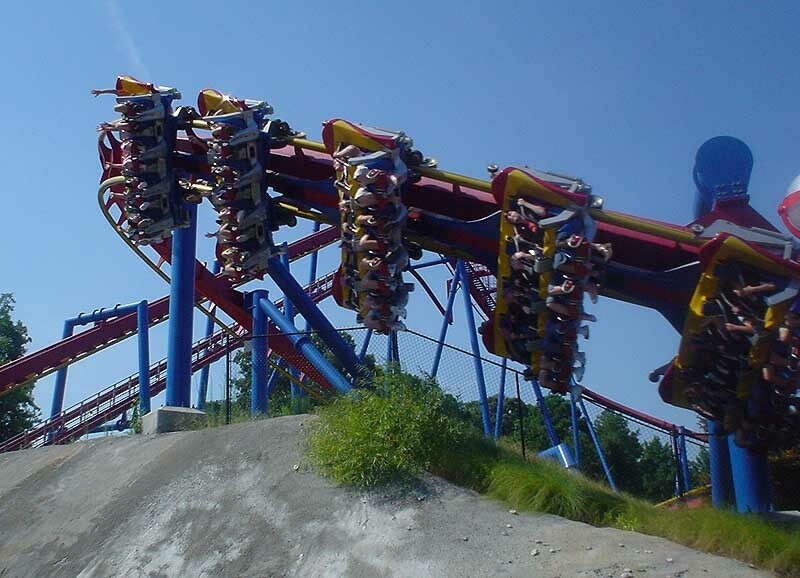 Superman: Ultimate Flight takes advantage of the terrain, making it a solid flying coaster. 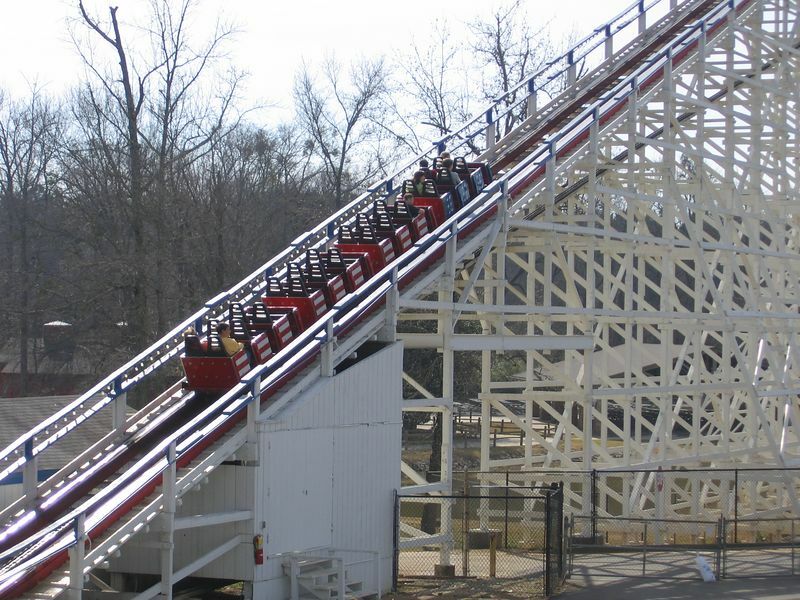 GASM is a decent wooden coaster, but it needs some TLC. Lots of trees and shade, which is a plus. 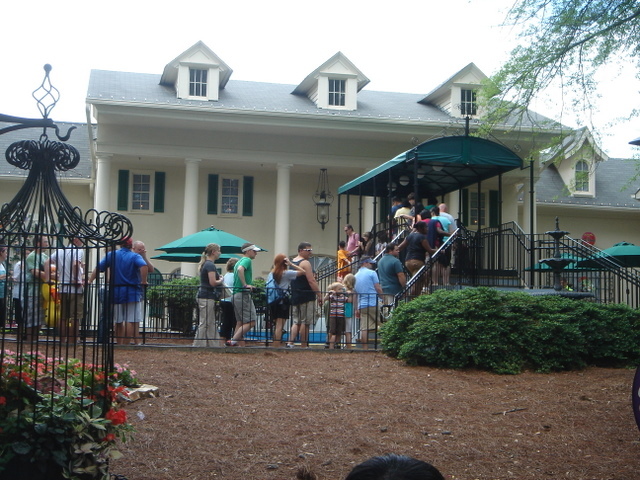 Most of the queues have shade to deal with the Georgia summer weather. Overall, a great park. It's worth driving to for a day trip. 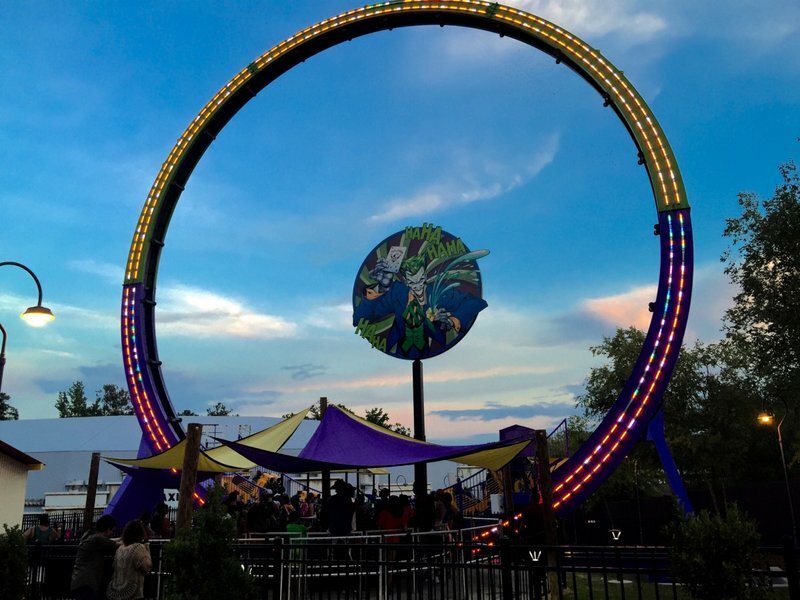 Six Flags Over Georgia, one of my favorite Six Flags parks has a very nice setting and a great collection of coasters, here are some reviews. Goliath 10/10: Great coaster with great airtime, great elements, and great placement, oh, and don't forget a great view! 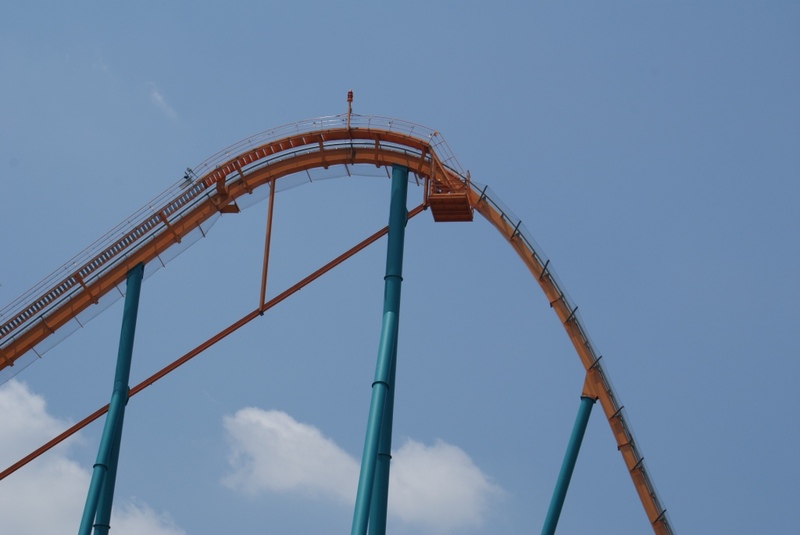 Schorcher: 7/10 First standup, and B&M, and is still able to be a great coaster, with a little pop of airtime and lots of Gs, this is a great coaster. 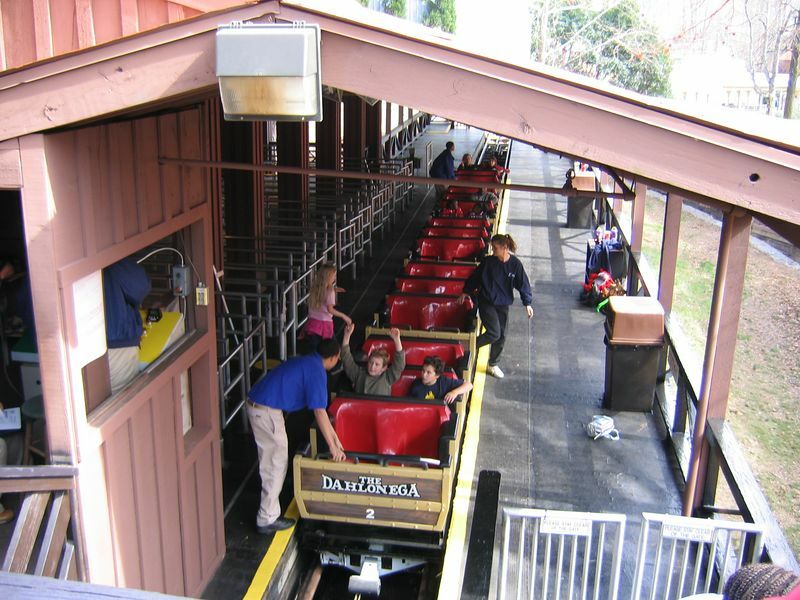 Dare Devil Dive: 7/10: Not so much a thrilling coaster, but just a family coaster if you forget the drop and inversions, mostly the Barrel Roll. 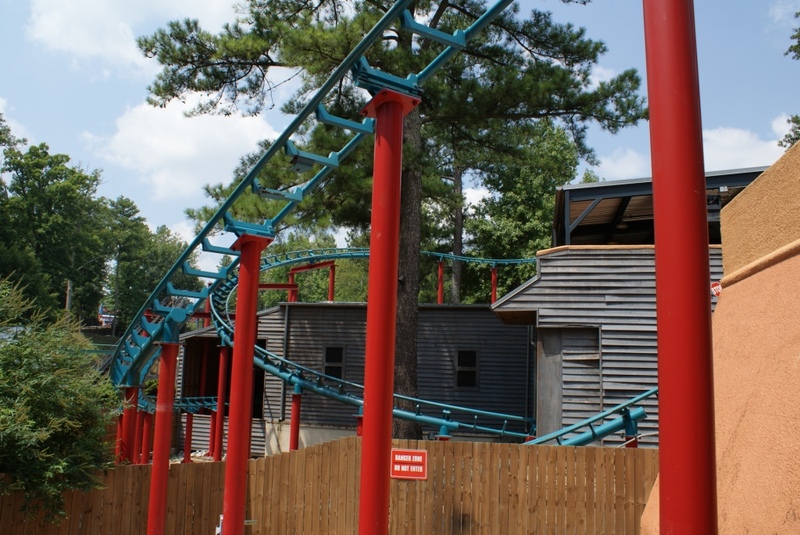 Mindbender 9/10: 2nd Favorite coaster in the park, airtime, Gs, thrilling turns, this ride has it ALL! I'll just leave the rest to you, also, on GASM, DON'T SIT IN A WHEEL SEAT! GA Scorcher: VERY similar to Iron Wolf/Apocalypse with slight head banging and not to nice on men due to 4 g's. Goliath: smooooooth with great floater airtime on every hill. VERY crowded around lunchtime and evening. Six Flags over Gerorgia is quite possibly the best looking park in the Six Flags chain. There is so much foliage, and the ride collection is not half bad. Goliath is probably the best coaster, but Mindbender and Daredevil Dive are no slouches either. 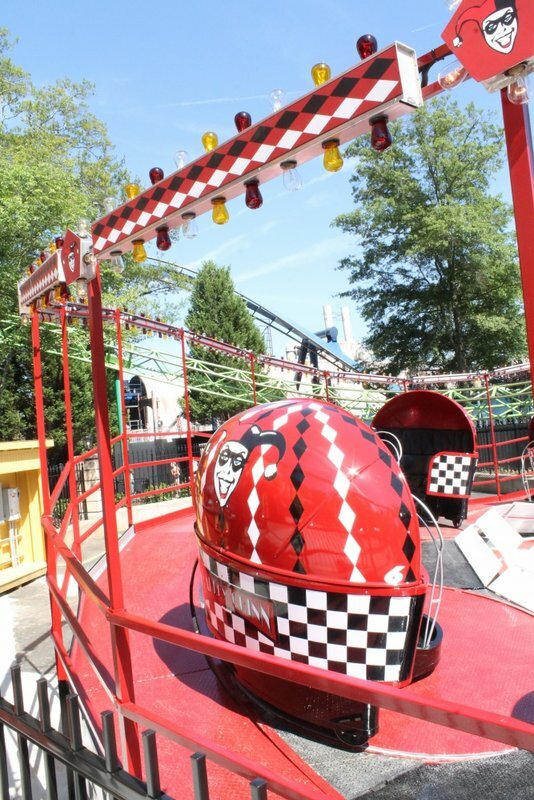 There are some bad eggs in the group such as Georgia Cyclone and Ninja, which are rough and generally unthrilling as far as big coasters go. One of the best Six Flags parks in the chain! Not only does this park feature a great lineup coasters and rides, but it also has a lot of charm. Monster Mansion dark ride is one of the best dark rides anywhere outside of Disney. The Great American Scream Machine and Georgia Cyclone are two classic wooden coasters that were both running great on my last visit! Goliath is a top 10 steel coaster loaded with airtime, and Batman and Superman are both standard clones but still really solid rides. The most unique coaster at the park might be the awesome and rare Schwartzkopf terrain looping Mindbender. 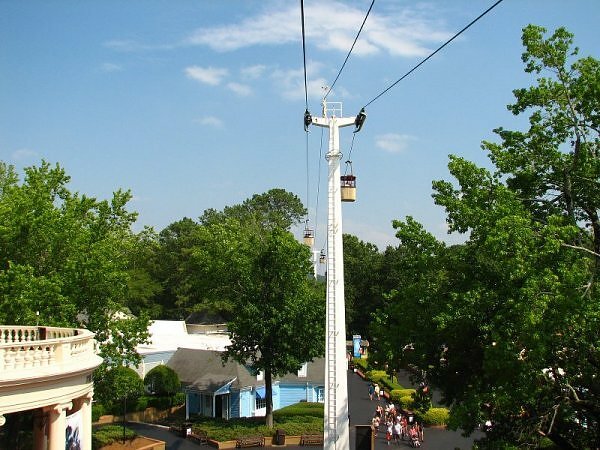 Six Flags over Georgia is a great park that is easy to spend a full day at, and easily one of the best parks in the Six Flags chain! 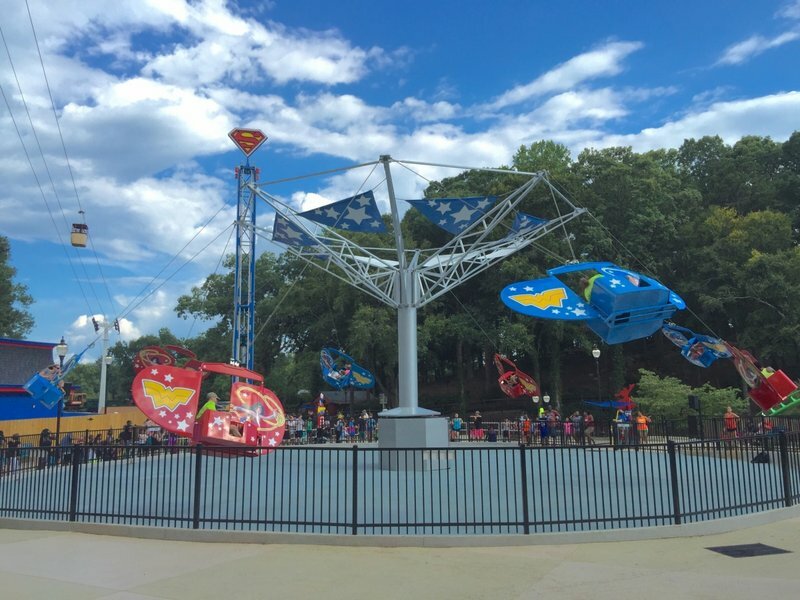 Six Flags of Georgia wins the award for friendliest park out of all the Six Flags park, not to mention it's pretty darn fun! 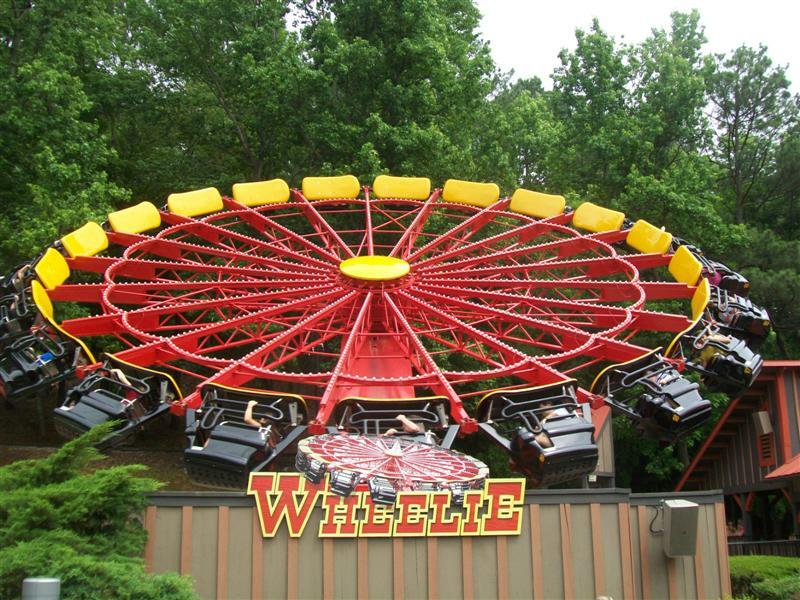 The well kept park offers two of Antons finet creations in Mindbender and Wheelie. Ninja has recieved replacement trains from NJ and is running veryy well. GASM is a solid out and back woodie in a picture perfect setting. 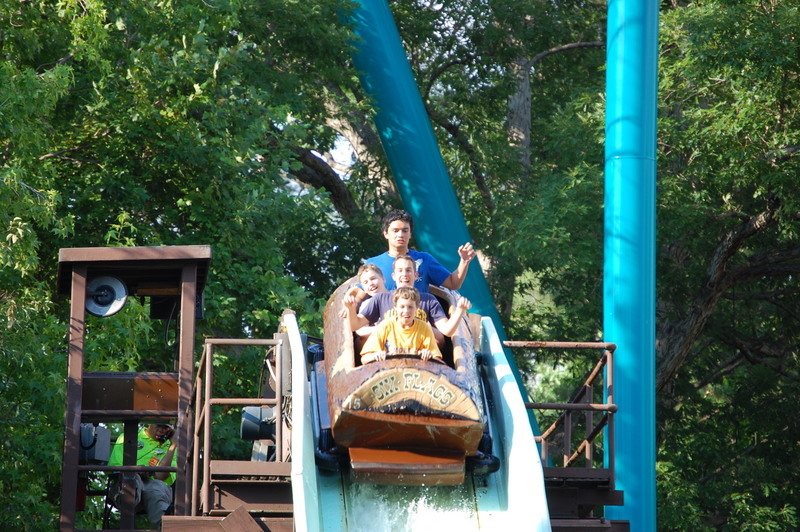 And let us not forget about Goliath delivering a nice forceful ride over the park entrance! 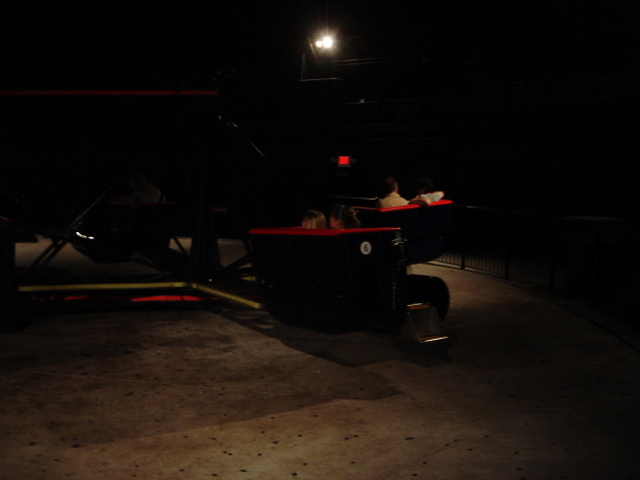 And while you are there check out the Haunted Mansion, bumper cars, and Acrophobia! Finally don't be affraid to eat here, they have excellent southern style chicken and a Coke FreeStyle machine located near the bumper cars that you can refill your souviner cup with for only .99! SFoG's hilly, tree-filled location makes it one of the most beautiful parks out there. 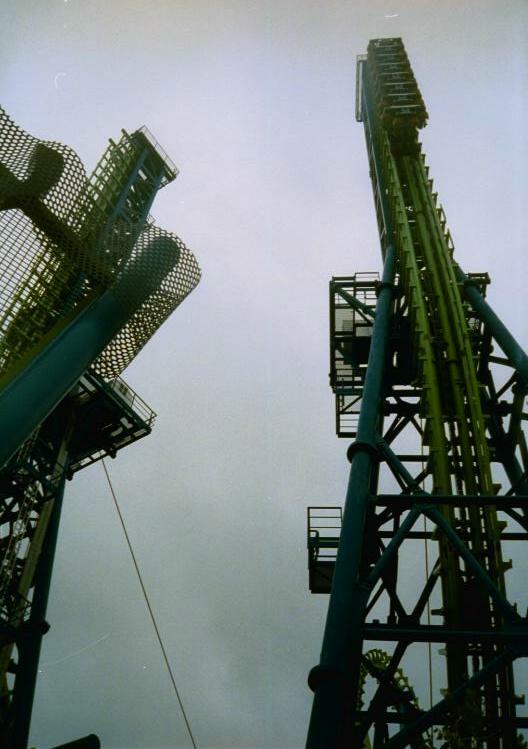 The standout rides are Mindbender and Goliath, with Great American Scream Machine, Batman and Georgia Scorcher being strong supporting attractions. 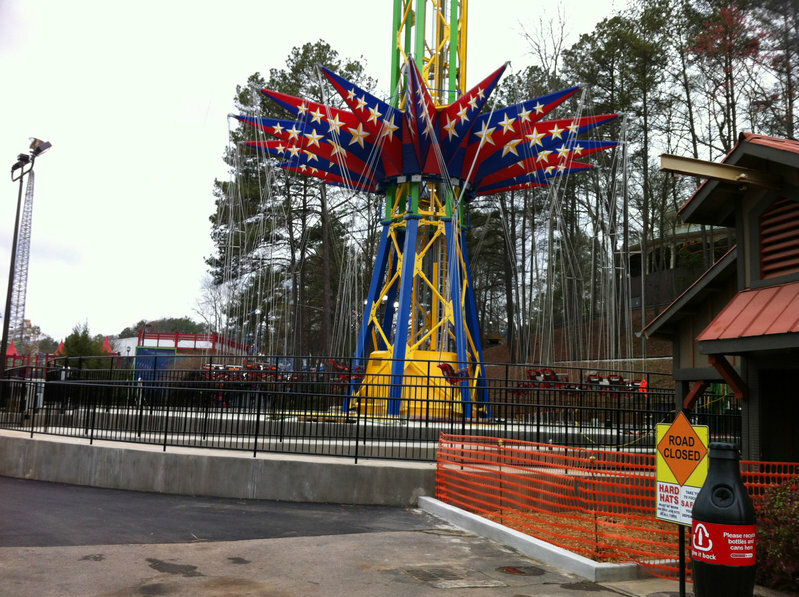 The park's newest coaster, Dare Devil Dive, is a very good addition that is perfect for budding thrillseekers. 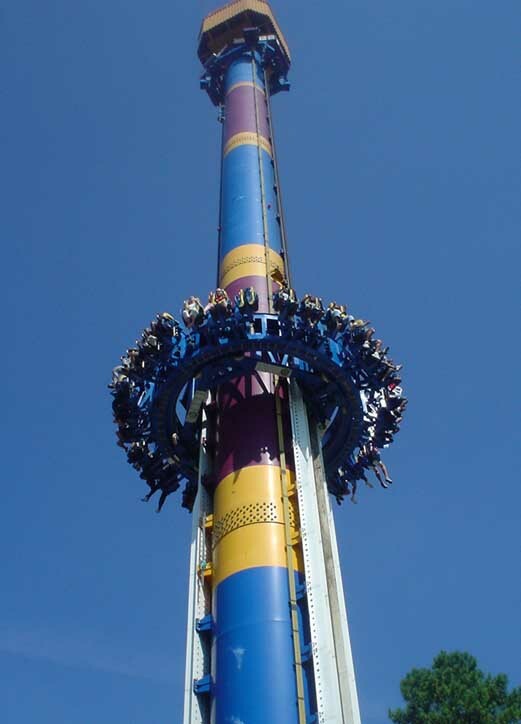 Acrophobia is the park's stand-up freefall that, given its somewhat short stature compared to other freefalls, is just as potent as the larger rides. 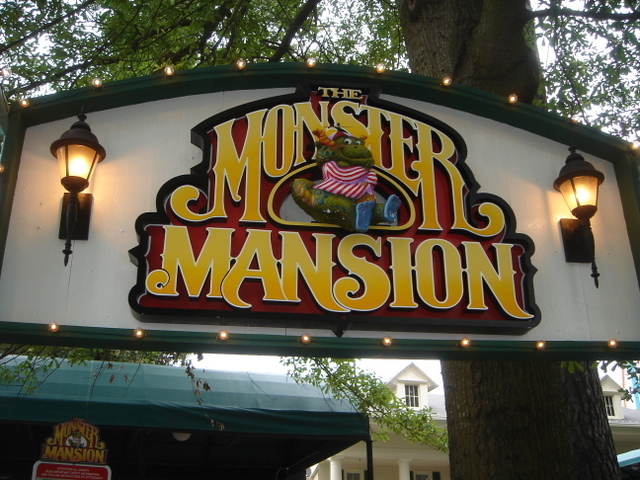 Monster Mansion is not to be missed as it is one of the better dark rides. I adore this park! It has a fantastic lineup of coasters, all set in the balmy heat of the South. Once you get past the iffy operations you'll find this park has a lot to offer - especially charm. 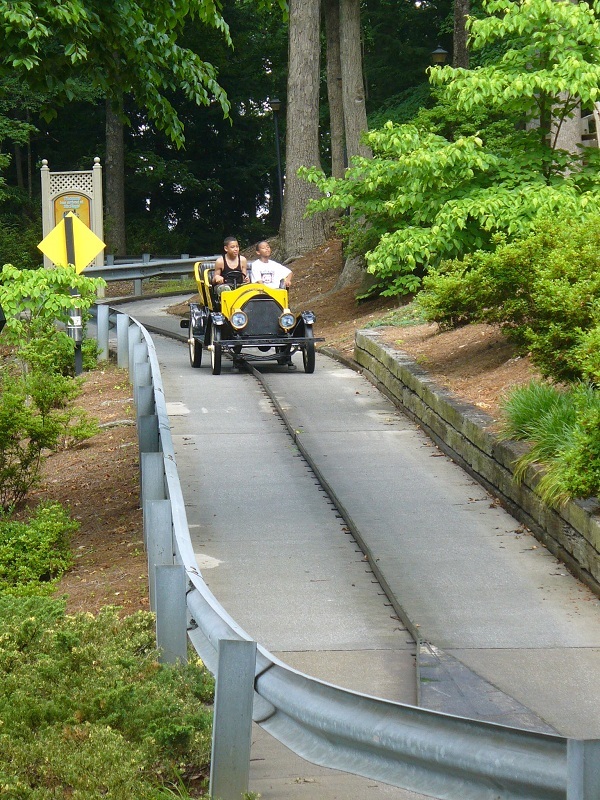 The Riverview Carousel is a gem, and its location on a hill surrounded by trees is gorgeous. Georgia Scorcher is an unheralded treasure. Goliath and Mind Bender are A+ rides as well.There are a few little nooks and crannies hidden away that add a lot of atmosphere. SFOG is possibly my favorite SF park. 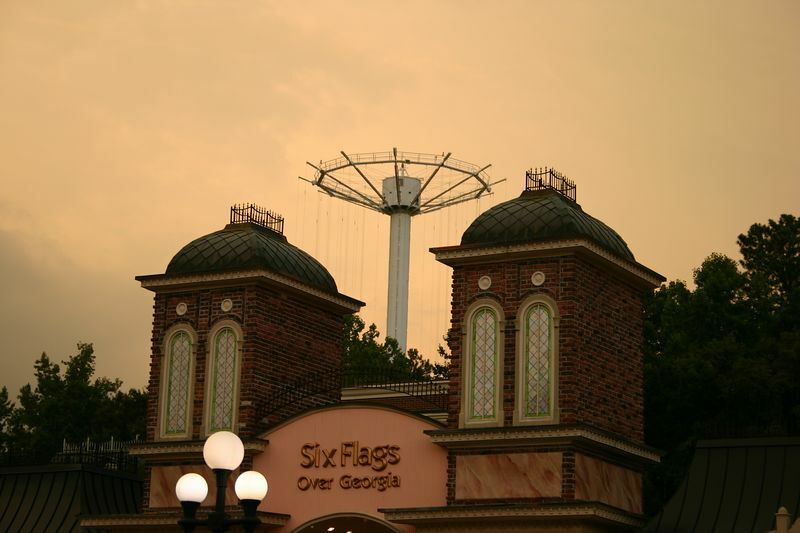 SFOG is a nice looking park (especially for Six Flags), with plenty of great ride offerings. 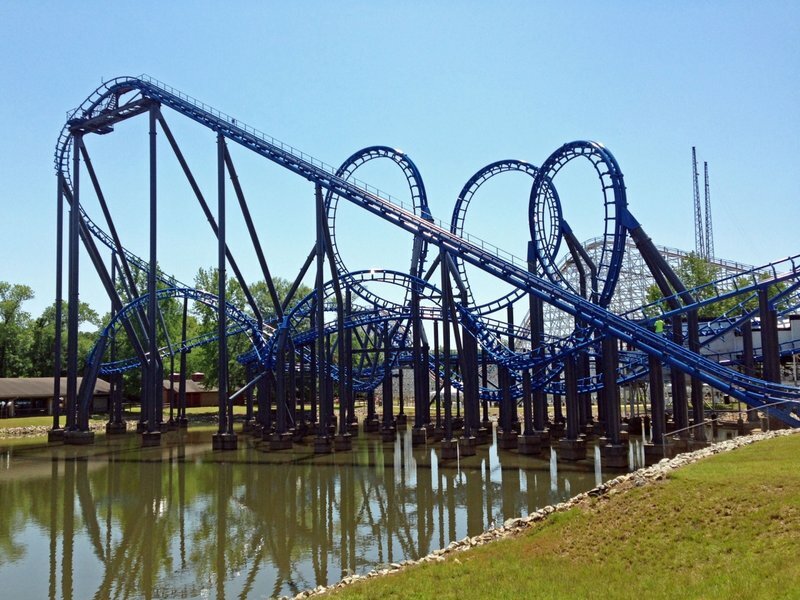 Batman, Goliath, and Mindbender are a very solid trio of steel coasters. I've only made one visit to the park, and unfortunately operations weren't the best on my visit. I will be back. 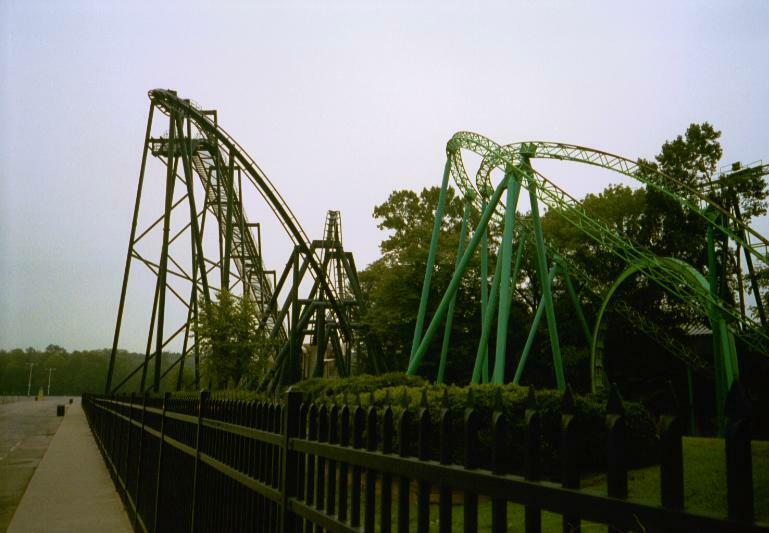 Although it has the standard Six Flags clones (such as Batman and Superman: Ultimate Flight), SFOG still maintains enough of its original charm to put it one or two cuts above other parks in the chain. The coaster lineup here is excellent (Mindbender and Goliath, in particular), and it even has a very enjoyable dark ride in Monster Mansion. This park can get slammed and hot in the summer (good thing there's plenty of shade). I am a little biased towards SFoG since I have been going there since the middle-70's, but I have always loved this park. It is hilly and has a lot of shade, and is generally pretty. 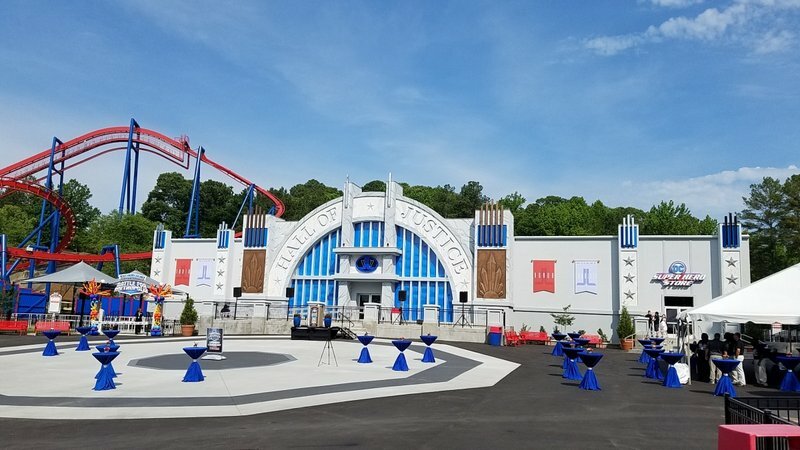 For a Six Flags park it is pretty nicely themed as well (definitely more so in earlier years than now,) and has an AWESOME Gotham City Section. 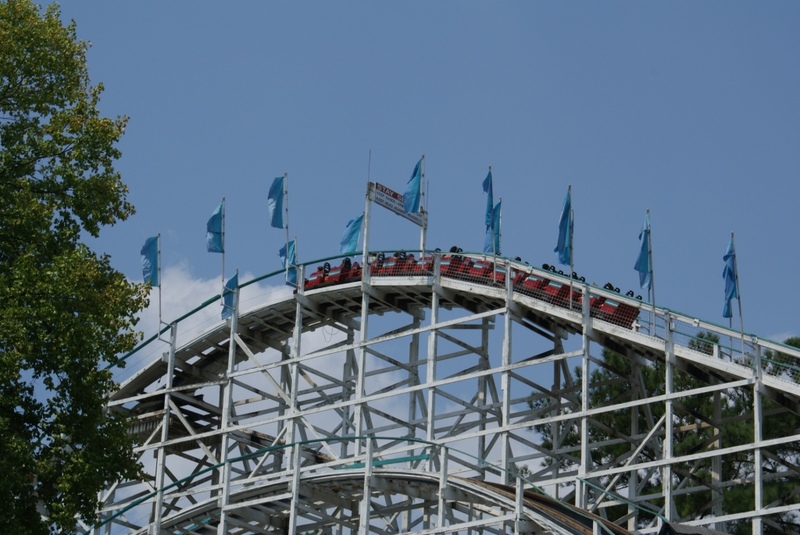 Coaster-wise, it is home to the Mindbender, which in my opinion is one of the most amazing coasters on the planet! Can't go wrong with an old, custom Schwartzkopf. One of the nicer Six Flags parks in the chain. Typical Six Flags food offerings.